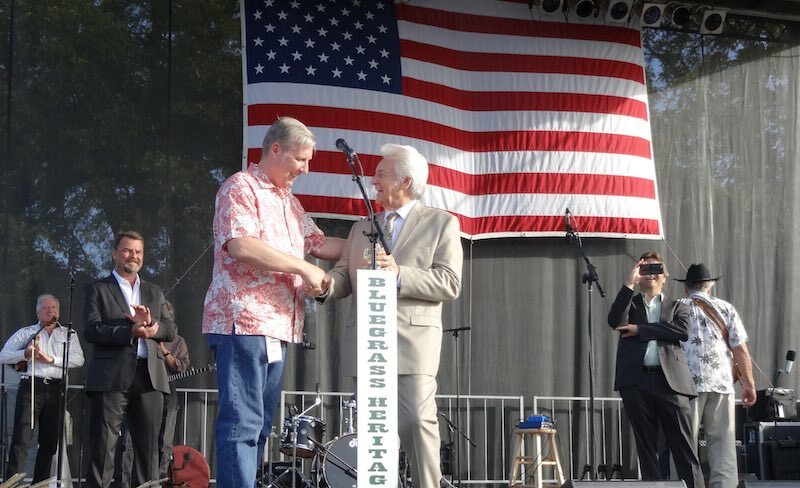 Del McCoury, a Grammy-winning National Heritage Fellow and member International Bluegrass Music Association’s Hall of Fame, was honoured with the Bluegrass Heritage Foundation’s Bluegrass Star Award on Saturday, October 17, 2015 at the Bloomin’ Bluegrass Festival and Chili Cook-Off in the Farmers Branch Historical Park in Farmers Branch, Texas. The previous Bluegrass Star Awards have been awarded to Rhonda Vincent, J. D. Crowe, Peter Rowan, and Sierra Hull. 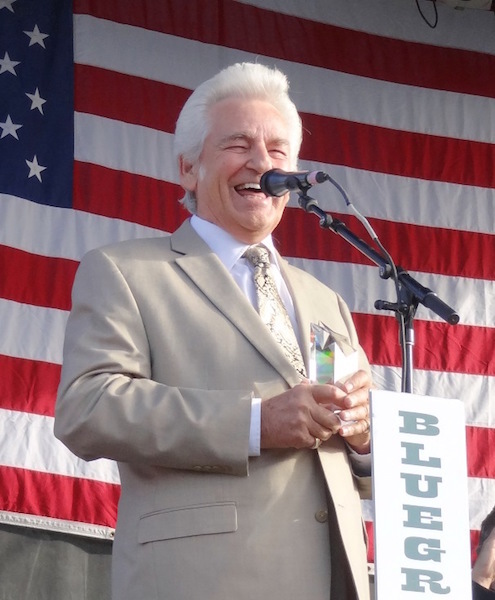 For more information about Del McCoury, visit the Del McCoury Band website. Be sure to watch the Star Award presentation video below, courtesy of David Seay Productions for highlights of Del’s career and in Del’s own words. Mission Statement – The mission of the Bluegrass Heritage Foundation is to preserve and promote the heritage of bluegrass music in America, with a focus on promoting bluegrass music in Texas. The Foundation seeks to educate the public about this distinctly American form of music with roots in Irish, Scottish, and English traditional music through educational programs and workshops, public performances of bluegrass music, historic preservation efforts, and other similar programs. The Bluegrass Heritage Foundation is a non-profit corporation organised under Texas law and recognized under Section 501(c)(3) of the Internal Revenue Code. The estimated value of the instrument will be stated in an agreement that encourages responsibility for the instrument by the borrower. Participants are expected to send a thank-you note to the instrument donor, if applicable, or to the Foundation. Photos are courtesy of Julie Tompkins.